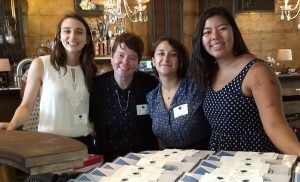 Students and community partners who participated in the 2017 Community Impact Internships Program had another great summer during program founder Abby Neyenhouse’s seventh and final year as Program Director. Eli Lopatin joined the CSC staff in July and will be overseeing CIIP next year. Eli previously worked for the Reservoir Hill Improvement Council, where he was a Site Supervisor for some of our past interns. Together, Abby and Eli will be building out our neighborhood and community programs area. 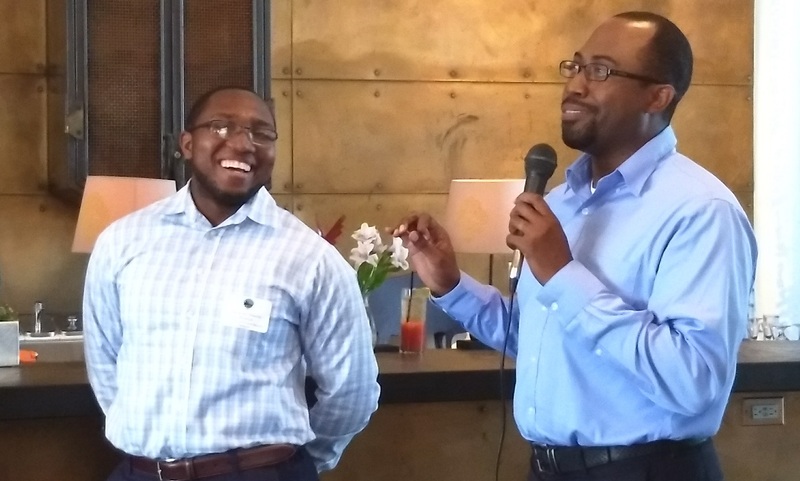 This year’s eight week, paid summer internship program kicked off with a five-day orientation the week of June 4, and concluded with our closing luncheon on August 5. Reverend Heber Brown, a community partner who leads the Black Church Food Security Network and Orita’s Cross Freedom School, spoke during both the orientation and closing luncheon. During the orientation, he advised students to, “turn your judgment into wonder,” as they ventured beyond the Homewood Campus to support the great work of our community partners. Many of this year’s 50 undergraduate student interns took that message to heart, as they were able to learn from the 49 community partner placements at government and non-profit agencies around the city. CIIP plucked me out of Hopkins and placed me in the middle of the Baltimore community. It has made me more than a student; it has made me an advocate, a community member, a citizen. – Ami Mange ’18, Neuroscience Major, worked at the Baltimore Harm Reduction Coalition. During the program, students worked at placements for 35 hours a week and participated in weekly Bites of Baltimore reflection sessions, where they were able to reflect on shared experiences with fellow interns and learn about important issues affecting the Baltimore community through. They formed bonds with other members of the program by participating in events hosted by the eight Peer Mentors, interns who had previously participated in CIIP and returned in leadership roles. Read about the interns’ experiences on their Blog reflections. The year also included long-time Baltimore advocate and public radio host Marc Steiner, who spoke on the role of the media in our current political climate, and his own experiences as a broadcaster and active citizen. While many of our partners have hosted interns for multiple years, we had four new partner sites this year, TreeBaltimore, The Intersection, Out for Justice, and the Baltimore City Mayor’s Office of Employment Development summer YouthWorks program. All Site Supervisors who responded to our end of year survey said they look forward to continuing to work with the JHU Center for Social Concern and CIIP. Intern and community partner applications will be available in the coming months. Learn more about the Community Impact Internships Program or view the 2017 CIIP program book (view digital version) or (PDF Document: view .pdf version) that highlights each of our internships now.